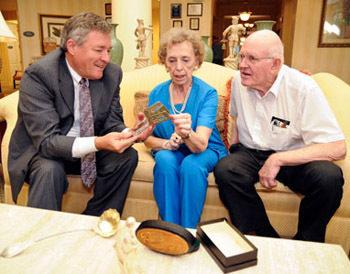 Check out the new feature on us in the Tampa Bay Times: "Appraiser helps clients identify valuables and get top dollar for them"
Please read our article on Angie's List website, by Dale Smrekar of Downsizing Advisory Service. 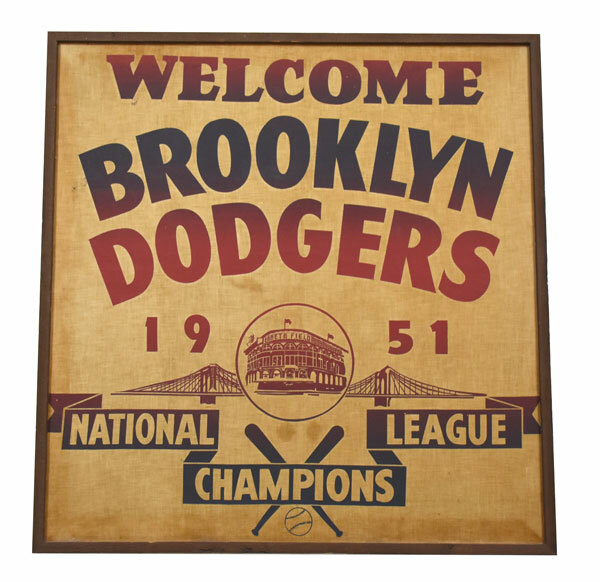 1951 Brooklyn Dodgers World Series welcoming banner. Problem was Brooklyn lost the NL playoff to the NY Giants. Bobby Thompson's hit heard around the world. Sold at Lelands Sports auction for $7,368 for a Downsizing client. Dale Patrick Smrekar is also a Florida-based writer of epic fantasy, suspense and mystery novels. 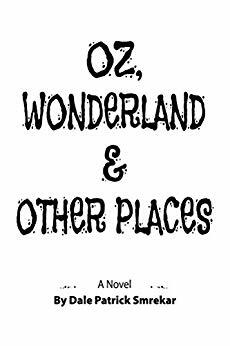 His first novel OZ, Wonderland & Other Places has been self-published in 2018 and is available on Amazon. Welcome to Downsizing Advisory Service. We offer appraisal and high-end liquidation services for the clients of attorneys, guardians, trust officers and financial planners. Our mission: We never buy anything from our clients. We will work for your benefit and to maximize your return. Our clients include seniors who are downsizing, personal representatives or attorneys charged with the responsibility to liquidate an estate, individuals who have inherited valuable items they do not want or individuals liquidating collections. Call Dale at (813) 244-4160 or email him for more information. 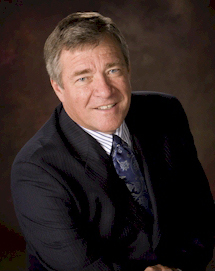 Dale Smrekar has been providing appraisal services for attorneys, guardians, and individuals for the past 15 years. He provides appraisals for estate inventories, guardianship inventories, estate planning, estate distribution, insurance purposes, I.R.S. requirements, bankruptcy, and divorce. Our appraisals meet Uniform Standards of Professional Appraisal Practices (USPAP) Standards and are accepted by local court systems, insurance companies and the I.R.S. I.R.S. regulations require the use of Certified Appraisers and many courts will soon follow. Dale has authored over fifty published articles on antiques, and has over eleven years of experience as a social worker/supervisor with the State of Florida Medicaid assistance program. The Downsizing Advisory Service serves the geographical area of West Central Florida, from Crystal River to Sarasota. We will provide liquidation services for large estates, artist estates or art collection estates outside this area on a case by case basis.